The most disgusting thing that anyone would wish to have is having wrinkles not only under the eyes but also all over the body. Perhaps most individual may not necessarily understand why they have wrinkles under their eyes. Therefore, many find themselves in a situation of trial and error in using different products to get rid of the wrinkles. Wrinkles generally reduce the self-confidence of an individual. 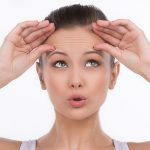 If you are one of the victims of eye wrinkles then you can smile since this article gives you the best answers to your questions. Why do I Have Wrinkles Under My Eye? Smoking which absorbs nutrients from the skin. Frequent smiling also causes movements in facial expressions of the regions under the eyes thereafter resulting to wrinkles. Poor diet. When the skin lacks essential nutrients it will definitely dry. Improper facial skin maintenance. Since the skin under the eyes is usually hidden, then it should be cleaned properly because the accumulation of dirt causes wrinkles. There various ways that can be used to fight wrinkles under the eyes. 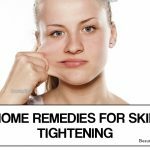 This article specifically looks into natural remedies that help in getting rid of wrinkles which is presumably the best choice. It is one of the widely used product in removing wrinkles around the eye. It can be made more effective when accompanied by several ingredients. The procedure for using coconut oil. How to use coconut oil is very easy. First, clean the face thoroughly using warm water and dry it off by a towel. Thereafter you can take 2 to 3 drops of the oil and apply them around the eyes. Finally, use the tips of the fingers to massage the areas where the oil has been placed. When to Apply the Coconut oil: It is advisable to apply the oil a few minutes before sleeping. For best results, applying it daily is good for a period of one month. 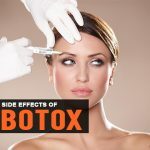 It is also an important wrinkle remedy that is natural and cost-effective. It moisturises the skin hence leaving it soft. Just apply some drops of the oil over your palm and use the fingertips to apply the oil under the eyes after washing it using a cleanser. Give it about 20 minutes to get absorbed by the skin. When to use it: Morning and evening hours are the best times for using castor oil. Repetitions: Applying the oil twice on a daily basis results into quick and best results. Its another natural remedy for treating wrinkles. A few supplements are also required to make it more useful. Simply mix a few drops of pure almond oil with one of the ingredients depending with your choice and apply it under the eyes. Massage carefully to squeeze the oil into the skin and let it for a night before washing. When to Apply Almond oil: Just like coconut oil, almond oil can be used during night times before sleeping so that a suitable effect if realized giving it a cool environment to take action. Repetitions: Likewise, for better results, apply almond oil on a daily basis. Is one of the outstanding classic ointments of all the time due to its smoothing nature that it usually leaves for the skin. Ingredients: Just like other products Vaseline is usually mixed with lemon juice. 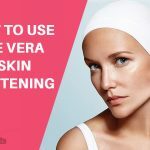 How to use Vaseline: Basically, washing the face with either warm or cold water that is mixed with a suitable antibacterial detergent before applying a considerable amount Vaseline is okay. Repetitions: Unlike other products, Vaseline should be applied every morning and evening for it to give best results. It is probably the most unique anti-wrinkle product. Ingredients: For better results, cucumber juice should be solely used rather mixing it with other products. It best deals with wrinkles and black patches under the eye. After washing the face and drying it, carefully slice cucumber to about an one inch thick and place each piece below the eyes and rest for about 10 minutes. while in a reclining position before washing the face once again. Repetitions: Unlike other products cucumber juice can be used twice a week and still give the best results. It has a vast variety of uses in dealing with skin ailments. Ingredients: The mixture of natural honey and lemon juice works fantastic. How to Use Lemon Juice: After a cold bath, you can squeeze lemon juice into the areas under the eye and leave it to dry. When to Use Lemon Juice: Moments before sleeping is the opportune time for using lemon. Due to its acidic nature, it should be used once after every 2 days. 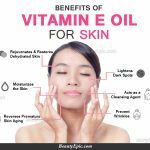 This is one of the best vitamin E juice that helps in softening the skin and removing wrinkles. How to use Orange Juice: Orange juice or its mixture can be applied directly under the eyes using a soft cotton or drinking it directly. When to apply: Orange juice is mid acidic therefore it can be applied daily during late hours of the day after taking a bath. Egg white is scientifically known to contain collagen that can fill the wrinkles and proteins for softening the skin and making it elastic. Ingredients: Use it naturally without add-ons. Separate the egg white from the yolk and whisk them until they appear frothy and rub it on under the skins’ eye. Let it for some minutes to dry and then wash using warm water. When to Use Egg White Mask: It is better to apply egg white during the evening hours. It helps in tightening sagged skin. Ingredients: Honey mixed with a potato gives a more effective honey mask. How to Use Honey Mask: Apply the mixture of the two on a spongy eye mask and place them under the eyes leaving them for about 20 minutes before rinsing the face with warm water. When to Use: You can use honey mask before retiring to bed on a daily basis provided you have the ingredients. In conclusion, the above natural products are preferably the best remedies of dealing with wrinkles around the eyes.